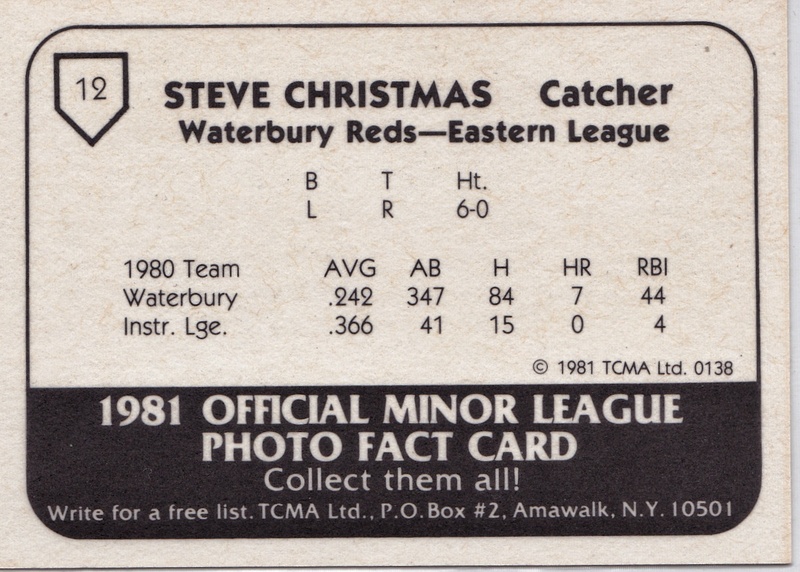 Heartbreaking Cards of Staggering Genius: Merry Steve Christmas Everyone! 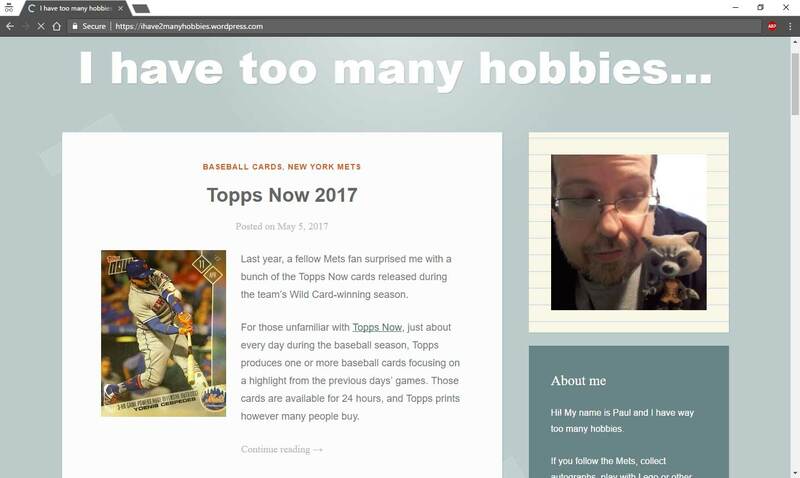 For my first post of a sports card since the beginning of November, we have a card I bought this summer for the express purpose of posting day. 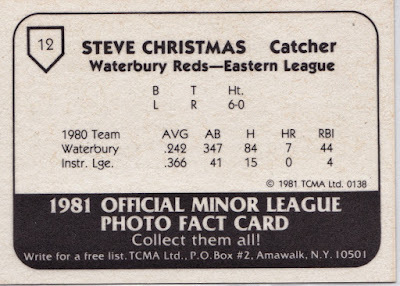 It is of Cincinnati Reds prospect Steve Christmas who is featured as a member of the Waterbury Reds. Waterbury was the team's AA team and a part of the Eastern League which includes minor league team in Bristol, Connecticut and Reading, Pennsylvania. 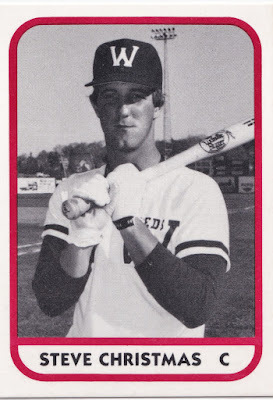 Christmas would make it to the majors in 1983 and he would play parts of three seasons with the Reds, White Sox, and Cubs. He would play a total of 24 games at catcher and first base with one home run and seven RBI. 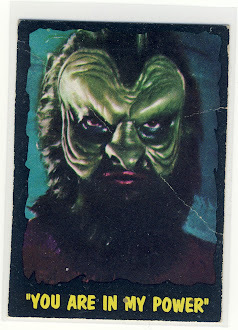 This card comes from the king of minor league card sets,TCMA, and this is from their 1981 minor league set. I like that you can request a checklist on the back of the cards. 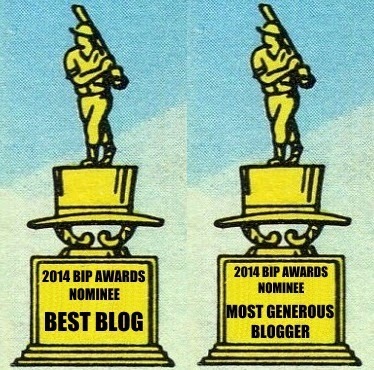 I'm always tempted to write in to see what happens or maybe who owns P.O. Box #2 in Amawalk, New York.